Austin is big, and it&apos;s only getting bigger. 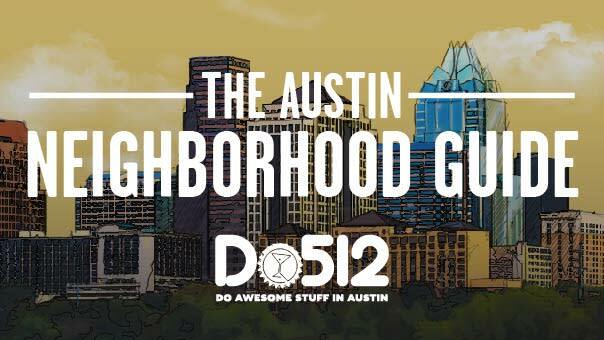 Trying to navigate all the awesome things going on in the city can be overwhelming at times, which is why we have compiled this guide to several Austin neighborhoods where you can find the best places to eat, drink, shop local, and do so much more. Click the images to start discovering! South Congress isn&apos;t just an iconic Austin street, it&apos;s a Texas landmark. Sloping gently down to a view of the Texas Capitol, it&apos;s a grand avenue littered with restaurants, shopping, bars, and events. Not to mention a constant supply of live music. Only the best businesses survive here, so you can be sure it&apos;s worth your time. Austin just wouldn&apos;t be Austin without South Congress, and it&apos;s the vein that leads straight to the heart of Texas. Though Manor is technically just a road, it might as well be an entire neighborhood. With plenty of establishments (including a few of the city’s trendiest) where you can eat, drink and just enjoy life, the area has, over the years, become a hot spot to live, work and play for all kinds of Austinites. That’s why—from restaurants to pole dancing studios, bars to bicycle shops, theatres to groceries—we’ve compiled the best things for you to do on Manor. Cruise the street and see what you discover. From what we’ve experienced, it’s sure to be good. Clarksville is one of the oldest neighborhoods in Austin, and has been on the National Register of Historic Places since 1976. Although Clarksville proper only comprises nine square blocks, people commonly refer to the area from Lamar to Mopac and Enfield to West Sixth Street as the Clarksville neighborhood. The area is brimming with historic homes, mom-and-pop shops, restaurants, cultural landmarks and more. Here&apos;s a look at some of the best things to see and do in the Clarksville neighborhood, as well as restaurant and bar recommendations the immediate area. Void of big box stores, chain restaurants or even the ubiquitous tourist crawl that has taken over much of Austin, the vibrant North Loop neighborhood is a leader in keeping Austin weird. Famed for its selection of independent and unique shops, you can find an expansive collection of vintage clothing, funky furniture, books and records. The North Loop is also home to several new restaurants and bars, making this funky neighborhood a great little place to visit (or live) in Austin. Below, read just a few highlights for things to see and do in the North Loop! From the stuff-to-do perspective, South Lamar is a beast to conquer. This populated and popular area of Austin is full of thriving businesses—restaurants, bars, food trailers, coffee shops, galleries, etc.—and more are popping up every day. Here we cover the span of South Lamar between Town Lake and Ben White, focusing on the most noteworthy and awesome spots—some well known, others more under the radar—that we feel deserve some recognition. And while we’re relatively certain that in the time we spent writing the above paragraph, at least three more local businesses opened up, we suggest you start off with the 50+ listings we have compiled below. We’re certain there are enough places here to keep your appetite satisfied, your thirst quenched, and your interest piqued… you know, for at least the next few days. Part historic, part funky, and 100 percent unique, Hyde Park has a charm that can’t be denied. With origins dating back to around 1840 and a location enclosed, according to the homeowner’s association, within the boundaries of 38th Street, 51st Street, Guadalupe, Duval, and (north of 45th Street) Red River, the neighborhood is a hodge-podge of sprawling homes and tiny cottages; open-air parks and hole-in-the-wall theaters and galleries; wide, tree-lined streets and narrow alleys. In this one-of-a-kind ‘hood are places to eat well, places to drink well, and—if you can find ‘em—places to live well. That said, here are a few of our favorite ways to live the Hyde Park dream… whether or not you actually live in Hyde Park. In Austin we like to keep it weird. Our music, our breakfast tacos, our citizens and of course our malls. The Domain, located off the North Loop, is about as far from a traditional mall as Austin could get. Over 100 luxury and Austin-based retailers are spread out over an urban green space including benches, fountains, and of course a small stage for local musicians. Forget crowded food courts, the Domain features some the cities best restaurants and the brand new Whole Foods. Did we also mention the theater, bowling alley, and residential areas?